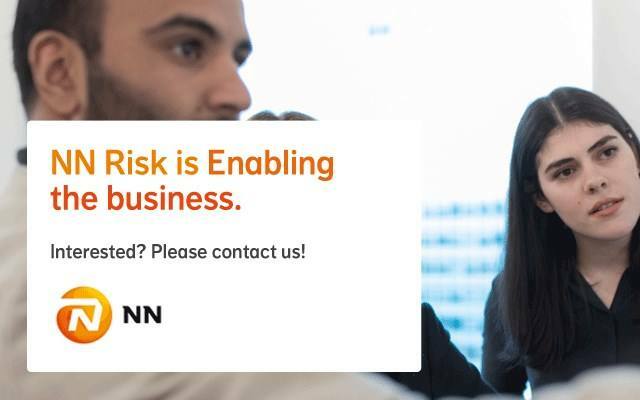 You report to the Head of Risk Management of NN Re and are responsible for calculating and analysing the risk figures, improving and reviewing technical and analytical tools, monitor and review the product development process and perform stress testing analysis. NN Re’s strategic goal is to optimize shareholder value with innovative reinsurance solutions and efficient hedging. Within NN Group, NN Re is a relative small organization with around 65 people from more than 20 different countries. It offers the best of both worlds, exposure to large and complex balance sheet solutions, but with a start-up company setting with a team of experts. We offer intra-group reinsurance solutions to optimize the risk profile, capital consumption and P&L management of NN Group’s insurance companies. Besides that we also manage various hedging books related to investment guarantees underwritten throughout NN Group. Enabling Solvency II optimization across NN Group using reinsurance is one of the main focuses of NN Re. The Senior Actuarial Analyst reports to the Head of Risk Management of NN Re and is responsible for calculating and analysing the risk figures, improving and reviewing technical and analytical tools, monitor and review the product development process and perform stress testing analysis. Coordinate communication and support between various departments within NN Re, with NN Group Risk Management departments, and with NN BU's across the world regarding matters that concern risk management. This vacancy is in the Risk Management team of NN Re consisting of 7 FTEs. NN Re manages very diverse risks from complex market risks to non-life. It requires a dedicated risk management team which is able to effectively identify and manage risks within the organization. As the second line of defence, we challenge the first line activities such as new reinsurance contracts as well as hedge strategy and performance of the VA Japan and Europe books. We also make sure the organization take risk and return into account when making business decision. We are looking for a Senior Actuarial Risk Analyst to join our team. NN is a large organization. If you start working with our team, you will work for NN Group. For this position it is important that you are independent, flexible, proactive and can deal with tight deadlines. Knowledge of NN Group Internal Model, Solvency 2 Standard Formula and reporting system is a plus. A position in job grade 10/11, hay level 17/18, scaling depends on knowledge and experience. Please send your application for Senior Actuarial Risk Analyst at NN Group in The Hague including your CV via our website.